Three students who obtained their master’s degrees at Buffalo State were selected as Excelsior Service Fellows through the the New York State Excelsior Service Fellowship Program in fall 2016. 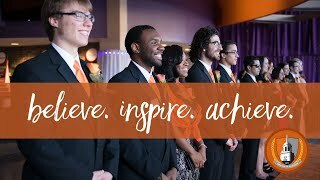 The Excelsior Fellowship Program, launched in 2013, invited Buffalo State to participate for the first time in fall 2016. Lynn Rogers, senior career counselor in the Career Development Center, coordinates the program for Buffalo State and serves as its liaison. “Last year, the Excelsior Fellowship Program asked us to solicit and submit four applicants from two of our master’s programs, public administration and criminal justice,” said Rogers. To be eligible, applicants for the Excelsior Fellowship Program must have graduated within the previous 12 months and be willing to move to Albany. Successful candidates receive a two-year appointment with a salary of $55,000 or $65,000 per year and full benefits. “The higher salary goes to any candidate who has three years of work experience after earning their bachelor’s degree,” said Rogers. It’s important that graduates are willing to relocate. “There are positions in New York City and sometimes here in Western New York, but most of them are in Albany,” said Rogers. 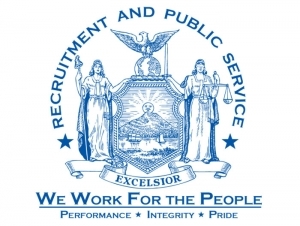 According to its website, the goal of the program is “to attract highly talented recent graduates to policy and operational positions within New York State government.” The application process is rigorous: Qualified applicants must submit a resume, transcript, two letters of recommendation, and a personal statement outlining the candidate’s interest in and commitment to public service. More than half of selected applicants continue to work for New York State after completing the fellowship. Baker has worked on several different projects identified in the 2017 State of the State address under the guidance of a supervisor she describes as an excellent mentor. While she would have preferred to stay in Western New York—“I do miss Buffalo food!”—she believes that working in the New York State capital has helped her understand how the state operates.